On February 16, 2015 Ashraf Masih s/o Anayat Masih along with his wife Nasreen Bibi and son Babar Masih approached CLAAS Office and shared about his daughter Shama aged 23, who was burnt alive on January 23, 2015. 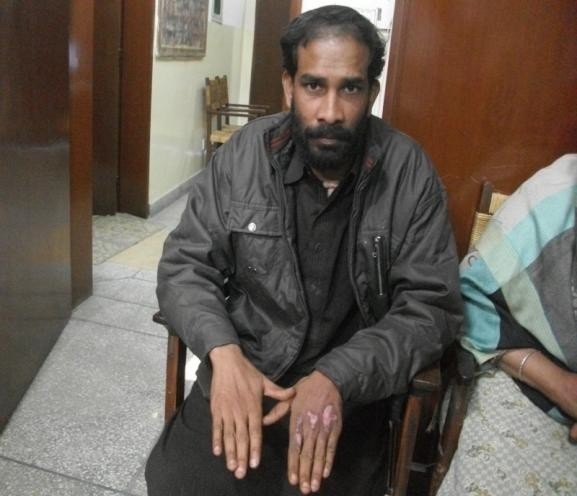 Ashraf Masih aged 49, resident of Shera Kot, Band Road Lahore, is a sanitary worker by profession while his wife namely Nasreen Bibi is a house maid. He has four childrennamely Chandni aged 25, married, Shama aged 23 (deceased), Babar aged 21 (Working in Dubai as a laborer) and Sehrish aged 19 is a house maid. On October 17, 2012 parents arranged marriage of Shama with Vikram Masih s/o Barkat Masih who is her maternal cousin. After marriage Shama lived in a joint family system at Masti Gate Lahore and out of this wedlock no issue was born. Nasreen Bibi shared Shama’s mother in-law namely Nasreen changed her behavior just after the first month of her marriage. After two months of Shama’s marriage she got pregnant but her mother in-law was not happy with her. Her mother-in-law is very much stiff and has not love and affection towards her. The mother-in-law always kept Shama busy in domestic affairs as well as started quarreling on minor domestic issues and treating her as slave. After three months of her pregnancy her mother in-law pulled her from the stairs and she lost her four months baby in the womb but her mother in-law did not take care of her. After that Shama could not be pregnant again. Whereas Shama was happy with her husband Vikram but mother in-law and sister in-law namely Saba (sister of Vikram) did not accepted her. Further Shama always concealed about the attitude of her mother in-law and sister in-law while Shama and Vickram both were disappoint from their attitude. Nasreen Bibi shared often Shama and Vickram visited and met with them. As usual before the four days of incident Shama was stayed with her for fifteen days due to the optical surgery of Nasreen Bibi just to looking after her. Shama did not want to go back at her in-laws house and wanted to live with her parent’s for some more days. But Nasreen forced her to go back at her husband home. On January 23, 2015 Shama’s parents was telephonically informed by Vikram that Shama was burnt alive and admitted in Mayo Hospital Lahore with the help of rescue 1122 (emergency helpline). Shama’s parents immediately rushed towards hospital and found Shama’ mother in-law burnt her with petrol. The concerned area police officials were also reached on the spot and recorded the statement of Shama Bibi. Shama reported to the concerned police officer that “she was married with Vikram Masih s/o Barkat Masih and living along with her in-laws as in a joint family. She has no baby therefore her mother in-law was disappointed from her and often quarreling with her on this issue. 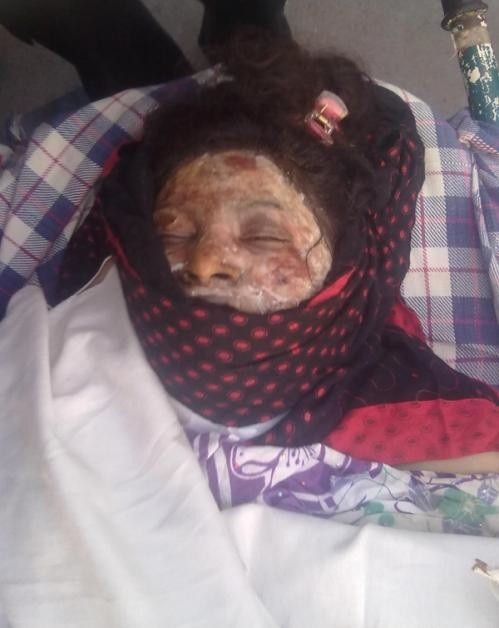 On the day of incident on January 23, 2015 routinely she was busy in her domestic work and at about 2: 30 p.m. her mother in-law who was present at home, started sprinkle petrol on her body and burnt her. She started to cry and due to her shouting her husband Vickram and other people of the locality reached at the spot and called to rescue 1122 and took her at Mayo Hospital for her medication. She further stated that her mother in-law tortured her and tried to murder her”. The police officer recorded the statement of Shama in the presence of her husband and parents. Same day police lodge a case FIR No. 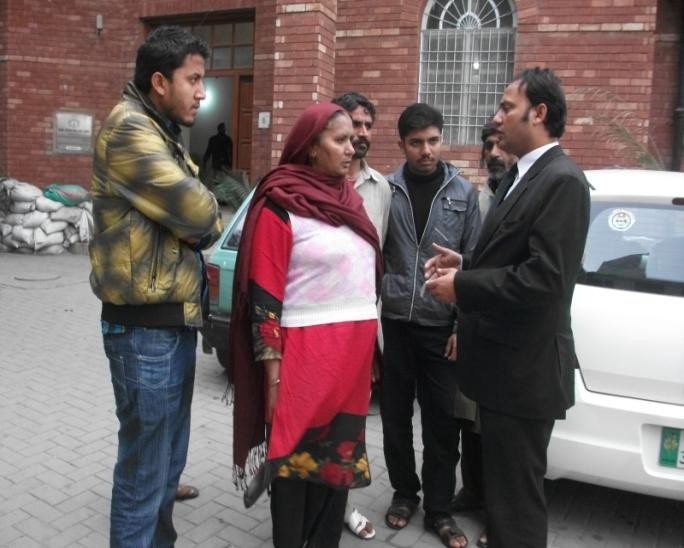 21/2015, offence under section 324 PPC (Pakistan Panel Code) at police station Masti Gate Lahore against Nasreen Bibi the mother in-law of Shama. Police arrested Nasreen Bibi who stated that she was sleeping at that time when Shama was burn herself. According to Vickram since the day of his marriage his mother was not happy because she disliked her paternal relatives and after the death of his father (who expired many years ago) her mother stopped visiting them. 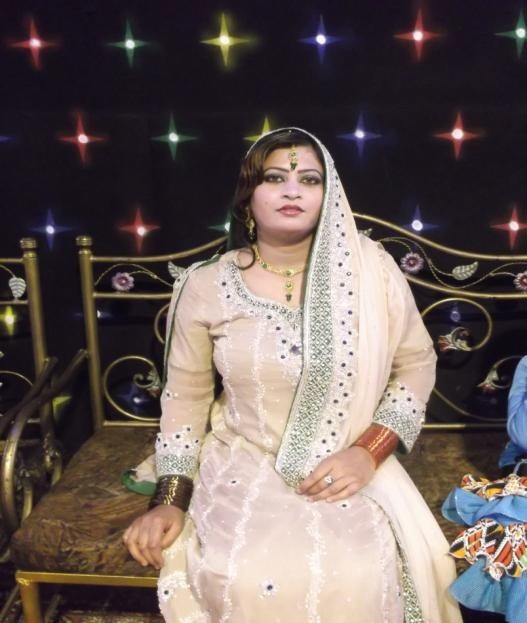 Her elder brother and sister are married and three years ago her mother arranged his marriage with Shama with the consent of both families. But after marriage his mother changed her behavior towards Shama and also forced him to leave her and get marriage with another girl but he ignored his mother’s attitude and started living happily with his wife Shama. After four months when his mother intentionally pushed Shama from the stairs and she lost her baby in her womb then he became suspicious about her mother and do not have any trust. Her mother always investigates things related Shama but he tried best to convince and suggested her mother to change her behavior but her mother started pressurizing him to leave Shama and openly threatened her for life as she is issue less. Further he shared that his elder brother and his family is also living with them in the same house and his mother in-law behaved good with them but his mother making Shama subjected of physical and mentality torture. There were trivial issues which based the cause of quarrels and serious fight in routine on the issue of baby. His younger sister who is unmarried and living along with him also used to quarrel with Shama and he was disappointed from their behavior and often he also shouted and beat them in return. Before the twenty days of the incident Shama went to her parents’ home for looking after her mother who has been suffering from eye disease and Shama spent fifteen days at their parents’ home. After that he took her along with him at his home and his mother again started to force him (Vickram) to leave Shama at her parents’ home then she will arrange his marriage with another girl because Shama has no child. He requested his mother to leave the topic because he was happy with Shama. Shama did not survive with her injuries and after three days of the incident on January 27, 2015 she died in the hospital and after medical and post-mortem her parents received her dead body from the hospital and buried her. According to the post-mortem report the areas burnt are “ face, neck front, chest front, back, abdomen front, back, right arm front, back, left arm front, right thigh front, approx. containing 45% burn and rest area healthy injury depth upto subcutaneous tissue. 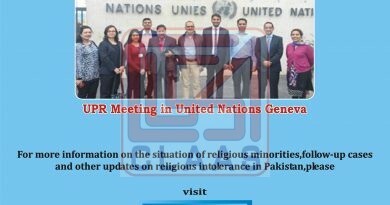 On February 19, 2015 CLAAS team consisting on Mr. Tahir Bashir Advocate High Court, Ms. Rubina Ghazal In-Charge Legal Department and Mr. Hunny Bashir Assistant In-Charge Legal Department visited the concerned police station Masti Gate Lahore and met with Investigation Officer (IO). He shared that police recorded the statement of victim Shama while she was admitted in the hospital. At that time police officials including Superintendent of police were present in the hospital. After her statement same day police registered case FIR and arrested the accused Nasreen Bibi. The IO also told that after the death of Shama Offence under Section 302 PPC has been added in the FIR.IO further add that police investigate the matter properly and after the death of Shama Bibi police got her postmortem report. Twice a time he along with Nasreen Bibi appeared before the concerned DSP and she stated that she did not burn her daughter in-law therefore police kept the arrest of Nasreen Bibi pending and did not send her in judicial lockup. He further shared according to his investigation accused Nasreen Bibi is innocent and not guilty therefore he declared her innocent in his discharge report. Through this conversation it is an apprehension that IO has joined hand with the accused party therefore he declared her innocent. CLAAS has taken the responsibility of legal assistance in this case and hired an advocate Mr. Akhtar Masih Sindhu Advocate High Court to pursue this case in district Lahore. On February 28, 2015 he moved an application for change investigation and on March 03, 2015 appeared before the CCPO (Capital City Police Officer) along with compliant party further matter is pending before the CCPO.